The Xperia Z Ultra (C6833) is, according to Sony, the slimmest and largest full HD smartphone. When I first received the Xperia Z Ultra, my first thought was that it is just another smartphone that it is probably just a larger copy of the Xperia Z. But I was wrong. 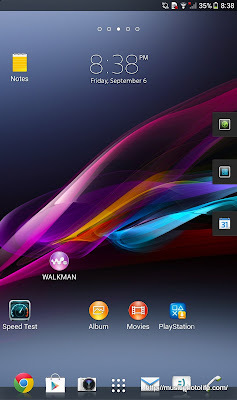 Once again, Sony surprised me with UI rework to make it friendly for large screen, something that I truly appreciate. 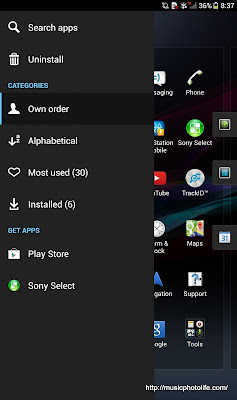 Here's a list of features that I thought makes Sony Xperia Z Ultra unique and worth buying. If you need a phablet that lets you survive the elements, then it has to be Xperia Z Ultra. Waterproof smartphones are far and few, and having one with a slim design is rare. The Xperia Z Ultra can survive 1.5m underwater for 30 minutes, not that I would use it when going underwater, but I could. Although the headphone jack is not covered, the unit is still waterproof. From far, the Xperia Z Ultra looks like a monolithic thin glass device. I have to admit, while the materials and design might not be the most practical, the smartphone is designed to look understatedly good. And when I mean good, I don't mean fanciful metal accents or well-thought ergonomics. It is just designed to look futuristic and minimalist. Remember how sci-fi movies portray handheld computing devices with a piece of glass? Well, The Xperia Z Ultra looks just like one. Its front and back panels are fitted with glass, its frame and volume buttons in black, with only the signature power button in aluminium. The SIM card, microSD slot and USB connectors are hidden behind the seamless covers around the frame. It is so seamless that my wife actually couldn't find the headphone jack under indoor warm lighting. It just gets faster. The benchmark results just went off the roof - 32508 on AnTuTu benchmark and 17633 on Quadrant. When powerful processors make it into mobile devices, manufacturers can create features that pushes computing boundaries. On the Sony Xperia Z Ultra, you can open multiple mini apps to run as floating windows. Not just the basic apps like calculator or notes, but you can also run a web browser with resizeable window. By sliding the mini apps out of the screen, it minimises into small floating icons like the Facebook Messenger Chat Heads which you can move them around. Compared to Xperia Z, the Xperia Z Ultra does not have the washed out contrast issue when viewed at extreme angles. The display looked brilliant, crisp and well-contrasted, certainly good enough for consuming online content. The Xperia Z Ultra may be the largest smartphone, but it surprisingly still fits on one hand. The power and volume buttons are within reach of your left hand fingers. When I try to make a phone call, my wife commented that it didn't look that big. I suspect it is a matter of optical illusion: the black review unit looks really understated and perhaps give an impression that you are using a modern lifestyle gadget (along the lines of Google Glass) rather than an oversized out-of-place mobile phone. Ironically, the Xpera Z Ultra seems to work pretty well for a tablet too. It doesn't feel small, perhaps due to the full HD resolution that makes text and images look clear and presents more information than other tablets with lower resolution. I believe the wide aspect ratio works in Sony's favour: in landscape mode, I have sufficient bezel space to grip the device at the sides without touching the screen. In portrait mode, my hands could get a grip around it and so there isn't a need to have thick bezels at the long sides. 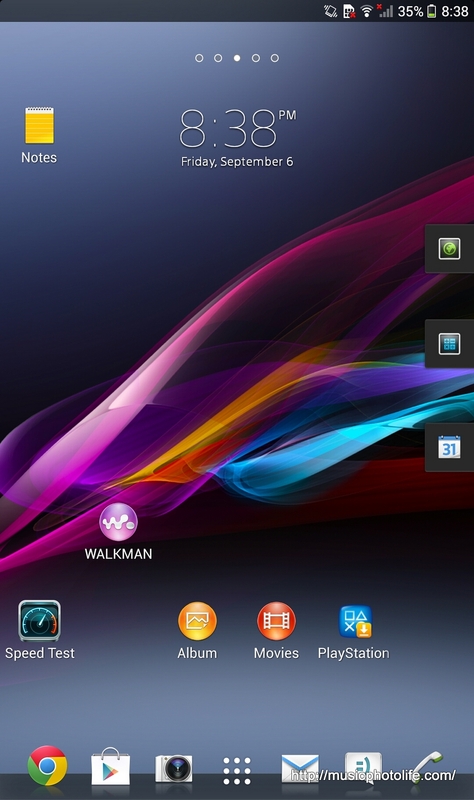 This design allows Xperia Z Ultra to be small on the hands and yet big on the display. - On the lock screen, sliding left-right for widgets like calendar, weather, camera. Then on the widget, slide down to expand the display. When music is played, the music widget appears. 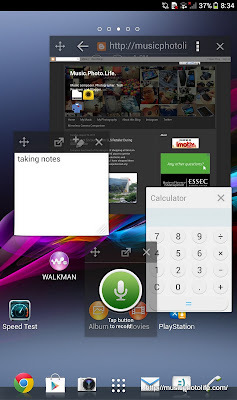 - Xperia keyboard allows one-handed typing and sliding your fingers over keyboard to form letters, features which I first uncovered on the Samsung Galaxy Note II. I do find a little tiring to type using 2 hands with portrait mode because you need one finger to support the base of the heavy device. Fortunately, the one-finger slide entry predicts the words quite accurately and instantly. - Quick settings icons to display in the pull-down notification panel, customisable from Settings -> Personalisation menu. 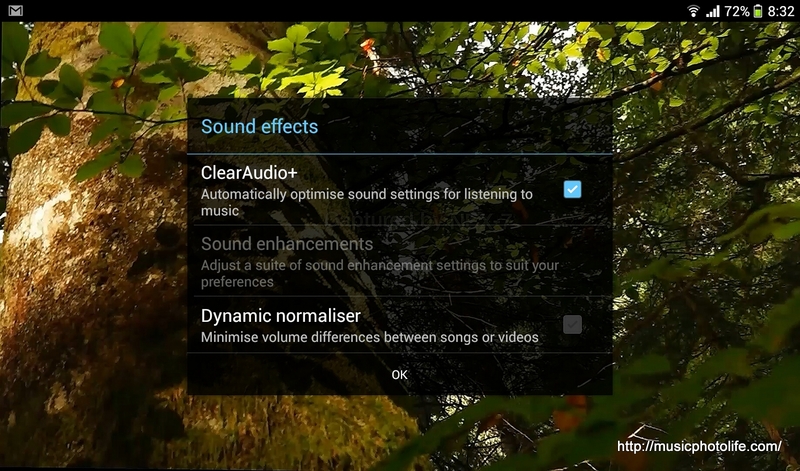 I like how the Walkman audio enhancement settings deliver subtle audio improvements. 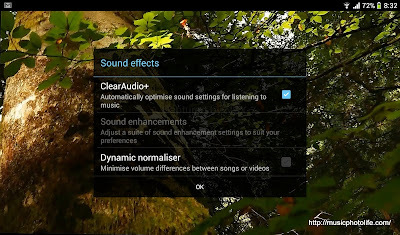 Unlike many other audio engines that generated rather unnatural tweaks that I would rather turn them off. 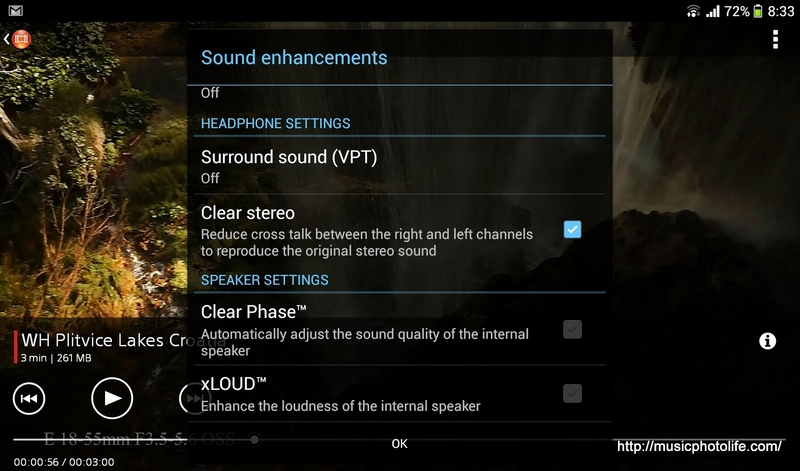 Good thing is that there are separate enhancements for headphone and speaker. 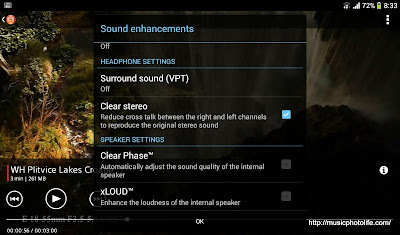 I would turn on the speaker enhancement because the Xperia Z Ultra speaker really needs some boosting. And I would keep the headphone settings untouched in order not to corrupt my audiophile earphones. You can sketch or write on the Xperia Z Ultra with a real pencil, metal or capacitive object. Depending on the object properties, there is some lag and might not be as sensitive, but it works when you needed a pointed object for more precise sketching. Also, make sure the object is blunt or else you might inflict scratches on the surface. The 3000mAh battery is just adequate for my heavy usage of about a day. If you turn on the STAMINA power management mode, you might extend the battery life but at the expense of reduced screen brightness or cutting off background tasks during standby. It certainly helps in extending battery life for users who do not require constant synchronisation of app data like email or your social network feeds, which will resume updates once you wake up the screen. 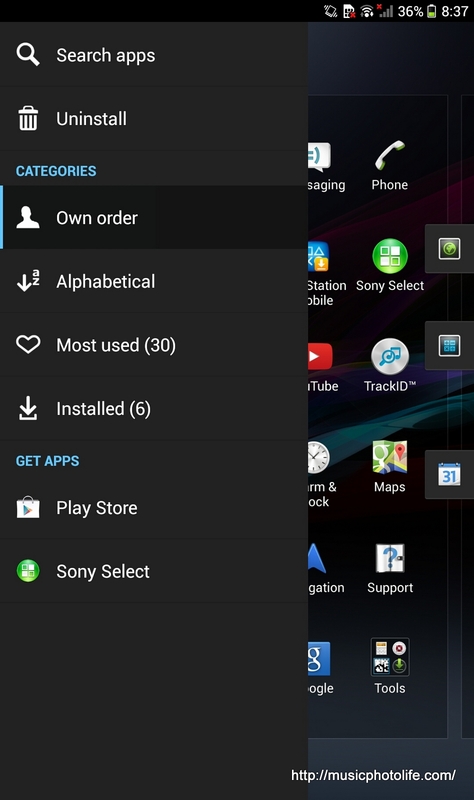 While reviewing the Xperia Z Ultra, a few features did not make it to my favourites. 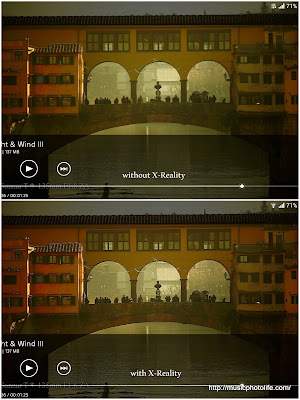 By default, the Sony X-Reality is enabled. I find that the video turns out over-sharpened if the footage is already sharp enough, for instance, full HD videos. Still images turn out brilliant, but as a photographer, I would prefer the images to look natural. You may turn X-Reality off under the Settings -> Display menu. 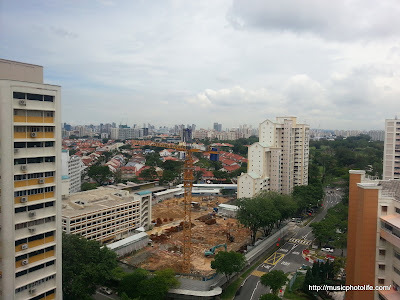 The 8MP camera quality does not turn out as impressive as it claims. Here are the comparison photo taken on Samsung Galaxy S3 (top pic). Here's a 200% crop to show the necessary details. 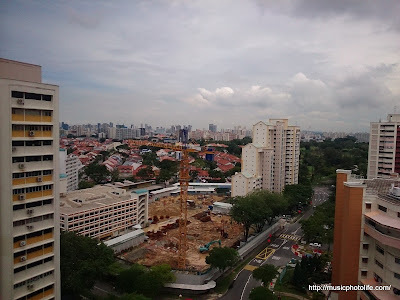 The general observation is that the Xperia Z Ultra images looks more muddy (resulting in lower details), slightly underexposed (probably to retain highlight). In Auto mode, it tends to use higher ISO. The white balance did not work out quite accurately under challenging lighting conditions. The saving grace: the camera activates a lot faster than the Xperia Z, allowing me to start capturing the fleeting moments in a snap. Indeed, the Xperia Z Ultra does not have flash. I only realised it after running the diagnostic tool under the Phone settings. I certainly won't miss it, but it would have been a useful feature for regular snappers or as a continuous light source when recording video. With both sides of the device in glass, the Xperia Z Ultra is not going to be easy to maintain in pristine condition. I suppose most consumers would apply screen protector which should resolve the dust issue (just make sure the screen protector is water resistant). 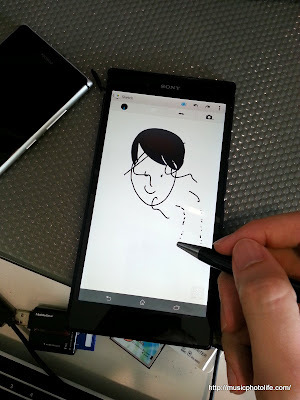 The Sony Xperia Z Ultra does not look like a phone or a tablet. It looks like a piece of an age-less fashion accessory, a slim glass device that connects you wirelessly to the world. It also works surprisingly well despite its imposing size. I mean, there must be a reason why Sony chooses 6.4 inch, and not 6.0, or 6.6. 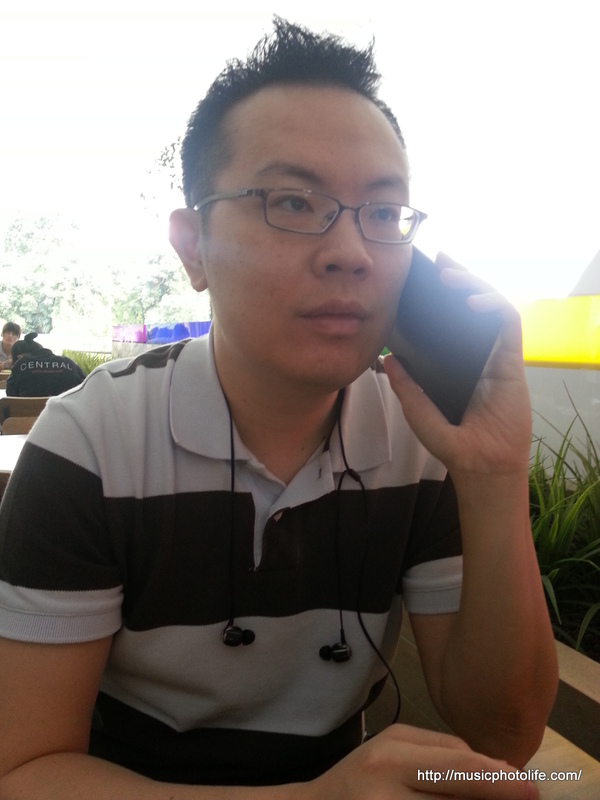 I am so glad to have tried the Sony Xperia Z Ultra. It is actually more usable that I had initially perceived. Highly recommended for people who need a larger device for visual comfort - not forgetting the waterproof advantage - while small enough to handle with one hand.